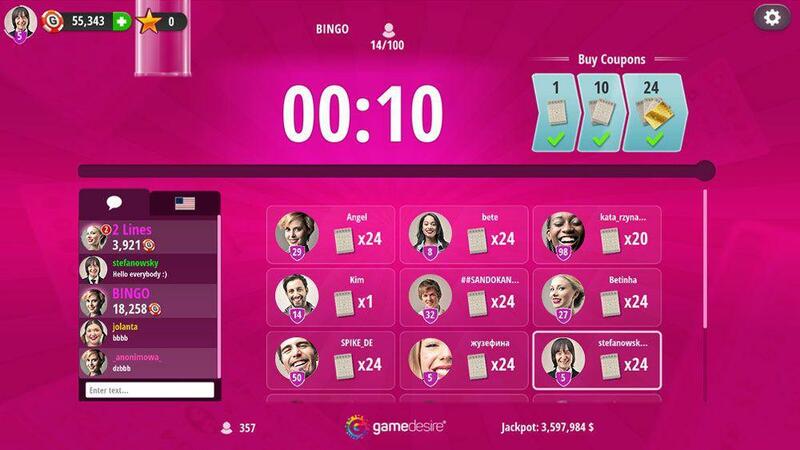 Bingo – game rules. 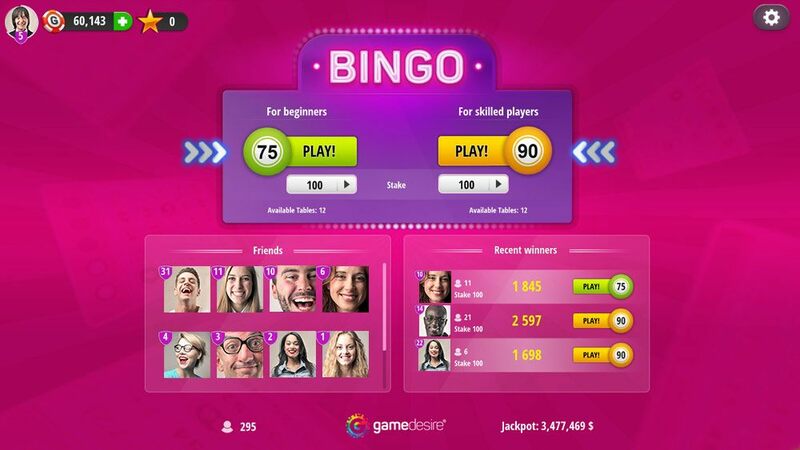 Interfața utilizatorului – see how to play Bingo on GameDesire! Top of the screen is occupied by the player panel which contains information about your experience level and XP points, owned balloons, account balance, Rakeback statistics (purse icon) and payments section button (plus symbol). To the right there are also sound and lector controls. 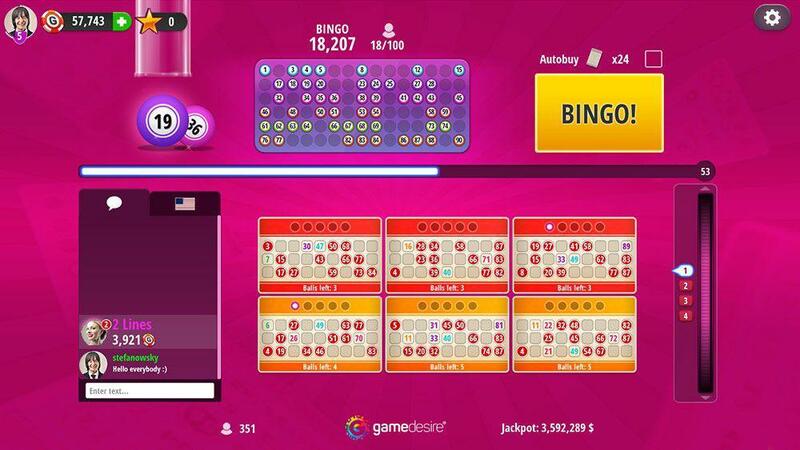 In the middle part of the screen there is a selector box, where you can choose which mode of game you wish to play – Bingo 75 or Bingo 90. Additionally, for each mode you can change the coupon price and see how many tables are available for a given option. 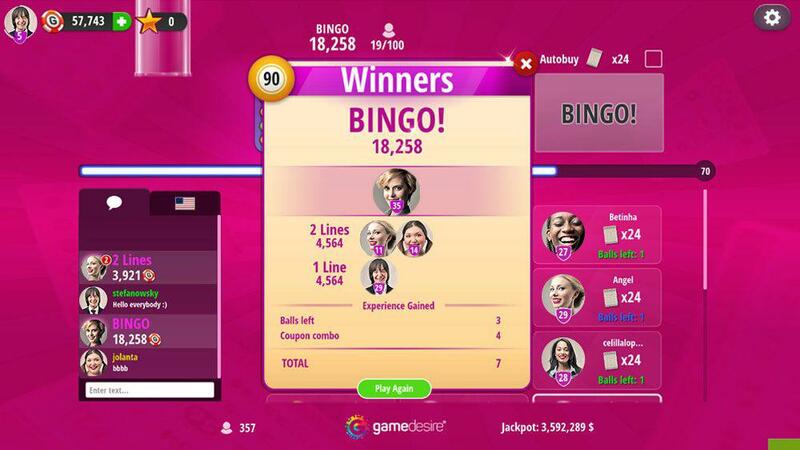 The lower part contains information about your friends and a list of recent Bingo winners. At the very bottom you can see a bar listing the total player count and the sum of Jackpot. To start playing you need to choose between two variants of the game: Bingo 75 or Bingo 90, and pick one of three available stakes (100, 1,000 and 5,000). Then, simply press corresponding ‘Play!’ button.